Bose's feature-packed sound bars deliver much bigger sound than you might expect, considering their slim, compact designs. But there is no substitute for the truly enveloping surround sound you get by adding a pair of rear speakers. 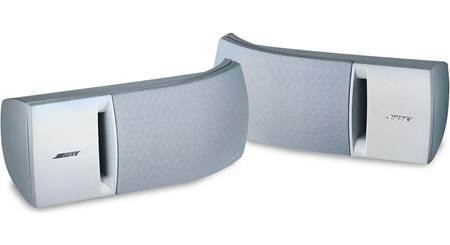 These compact Surround Speakers work seamlessly with Bose's Soundbar 500 and 700 systems to deliver true wraparound sound effects. 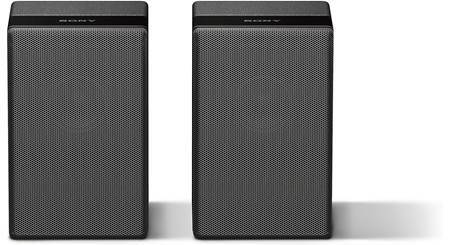 These speakers receive audio signals wirelessly, but there are still a couple of cables to connect. You don't have to run any wires from the front to the back of your TV room because the speakers link up wirelessly with your sound bar. They do that via the included wireless receiver modules, which must be connected to AC power. Then you attach the receiver modules to the left and right rear speakers with the included speaker wire. Nice complement to the 700 soundbar. Bose Surround Speakers: For a fully immersive sound experience, add the Bose Surround Speakers to the Bose Soundbar 500, Soundbar 700, or SoundTouch 300 (all sold separately). 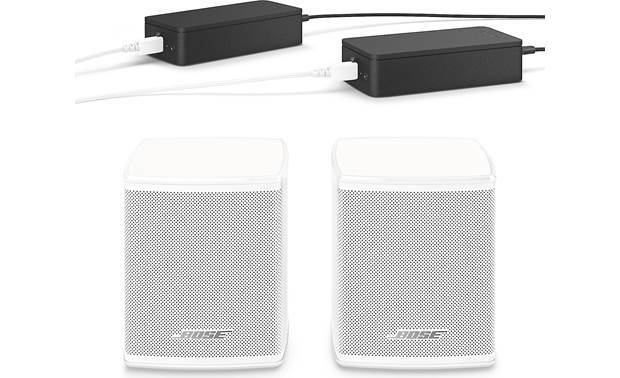 Use the Bose Music app (for Apple iOS or Android) to setup connection with the Soundbar 500 or 700. Use the SoundTouch 300's remote control to setup its connection. Once connected, you have a premium acoustic setup to complement the powerful performance of the soundbar. 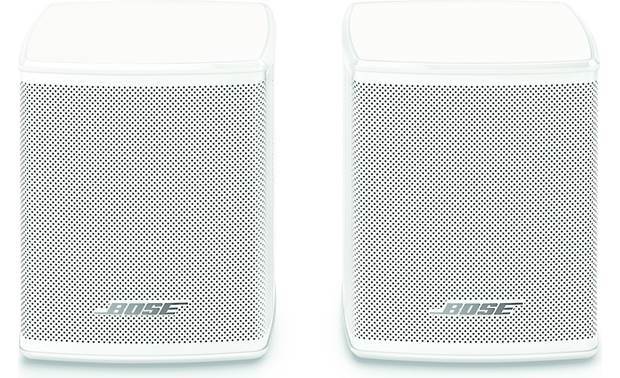 The Bose Surround Speakers feature a single 2" full-range driver. Wireless Receivers: Two wireless receivers accompany the Surround Speakers to facilitate a wireless connection to the Bose Soundbar 500, Soundbar 700, or SoundTouch 300; as well as amplification of the Surround Speakers. The wireless receivers comes with 20' proprietary speaker cables that connect to the Bose Surround Speakers using the included speaker connector adapters which plug into the back of the speakers. 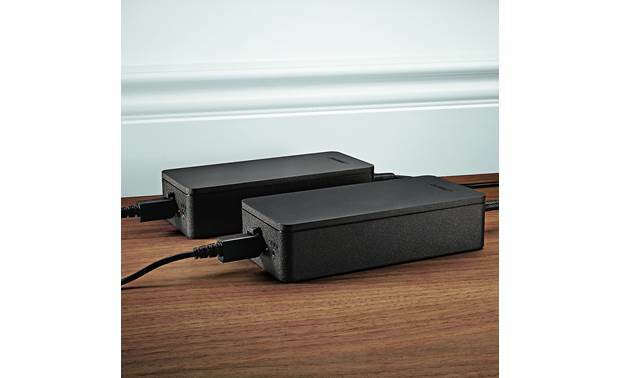 The wireless receivers also come with detachable 5' AC power cords that will need to be plugged into an AC power outlet. Note: The wireless receivers come preset to a left and right channel out of the box. You can use the switch on the front of the receivers to adjust the left and right channel settings (make sure that one wireless receiver always set to left and the other is set to right). 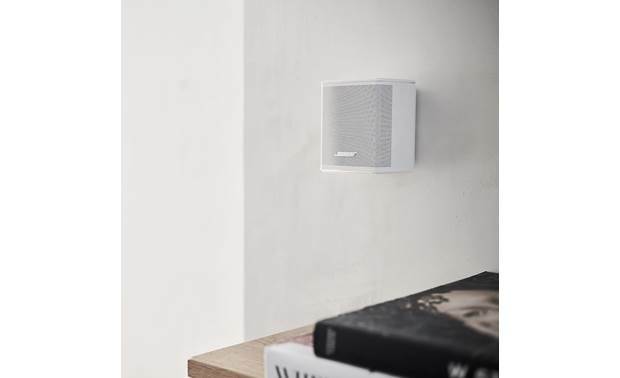 Mounting & Placement Options: With a wireless range of about 30' and standing less than 4" high, the Bose Surround Speakers will blend nicely into your room. The speakers should be placed behind the main listening area, one on the left side and one on the right of the room, for optimum sound quality. They can be placed on speaker stands (sold separately - see Accessories Tab), existing shelves, or wall-mounted (proprietary brackets sold separately - see Accessories Tab). Notes: To avoid wireless interference, keep other wireless equipment 1' to 3' away from the wireless receivers. Place the speakers and wireless receivers outside and away from metal cabinets, other audio/video components and direct heat sources. ADAPTiQ Audio Room Calibration: After you have positioned the Bose Surround Speakers in your room, plugged them into an AC power outlet, and connected the speakers to your Bose soundbar speaker, you'll use the ADAPTiQ headset (supplied with the soundbar) to auto calibrate the system. 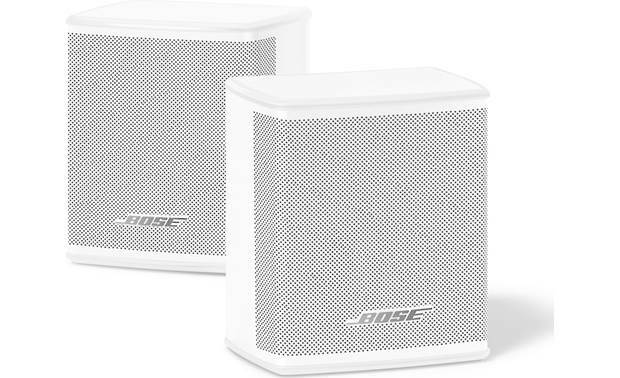 Optional Powered Subwoofer: In addition to the Bose Surround Speakers, you can add the Bose Bass Module 500 or Bass Module 700 (both sold separately) to a compatible Bose Soundbar 500/700 or SoundTouch 300 for deep, thunderous bass. Either Bass Module connects wirelessly to the soundbar speaker and has a wireless range of approximately 30'. Per the Bose surround manual- Can the Bose Surround Speakers be wired to the Bose Soundbar 500 and Bose Soundbar 700? No. 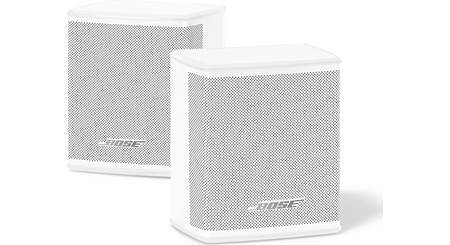 The Bose Surround Speakers can only be connected wirelessly. These are powered blue tooth speakers, so no you cannot use normal speaker wires. They are designed to work with the soundbars. These are not completely wireless, as they need to be plugged into a power outlet. You might want to look at different brands or models if you are simply looking to replace normal non powered speakers that require wire. what wall mounts do I need for speakers? Searches related to the Bose Surround Speakers .